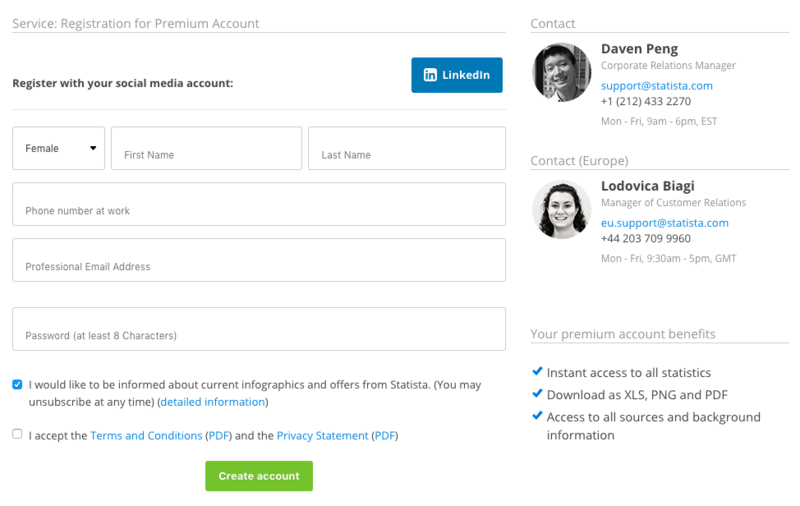 The different Statista accounts differ in terms of which content can be accessed and which functions are available. 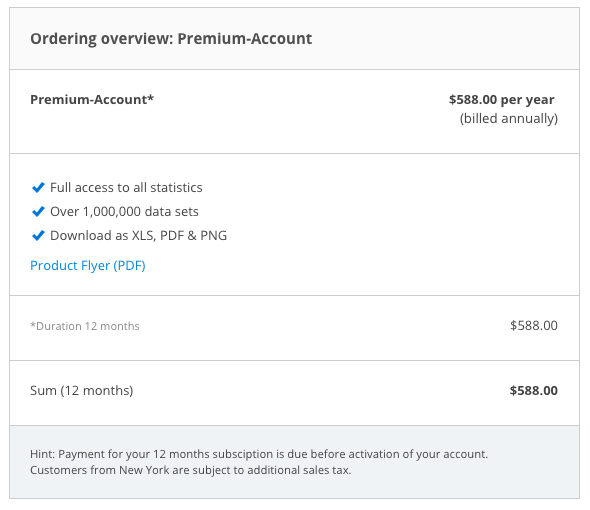 The Premium Account is Statista’s cost-efficient starter account. It gives you instant access to the database of over 1 million facts along with detailed references. Statistics can conveniently be downloaded in different formats via the download function. Complete the form and click Proceed with step 2. It is important that you check the box to accept the Terms and Conditions and choose a secure password. Our security check will help you. HINT: An account which includes all Basic Account Plus features has now already been created for you. Now enter your payment details and billing address. Do not forget to enter the CVV security code, which can be found on the back of your credit card. Tip: Click on the Openlink on the right to view the contact information you have provided. If you have a voucher code, please enter it into the corresponding field. Click Verify code to check whether it is valid . Click Order now to submit your order. You will receive an email sent to the address you have specified in confirmation of your order. PLEASE NOTE: Make sure that you accept our Terms and Conditions and the Privacy Statement. This is necessary to complete the registration process.. 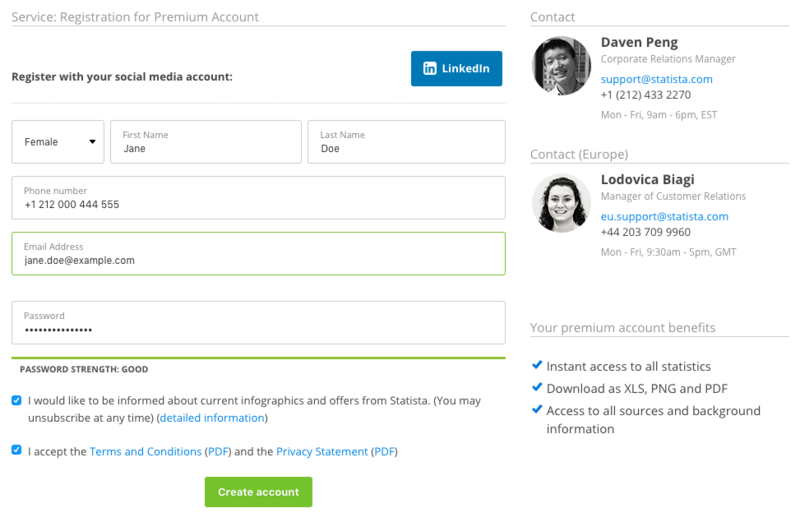 Your Premium Account has now been activated and you can start your research in over 1 million facts. Please also consider our other resources to help you and your team to make the most of our data. Kick off research projects with our Research & Analysis-Team.